Are you interesting in trying dim sum during your visit to San Francisco? Let me help you discover a list of some of the top options in Chinatown and throughout the city. First, let's start with the basics. What is dim sum? It is Chinese cuisine served in small amounts so that you can order a variety of items for your meal. Many dishes consist of steamed or fried dumplings, served on small plates in quantities of two or three. 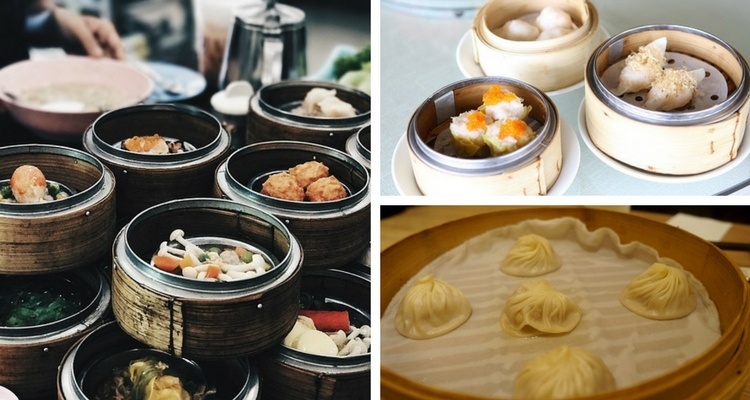 You will find two types of dim sum restaurants in San Francisco. The first provides you with a paper menu on which you mark all of the items you want to try. The second type is a little more fun! The server wheels around a cart with different dim sum on it and you can pick and choose. This is my favorite, since you get to take a look at the dishes in front of you and point to what you'd like to order. The best way to eat dim sum is to order four or five plates. Once you finish those, you can order a few more, or maybe even repeat some of your favorites from the first order. 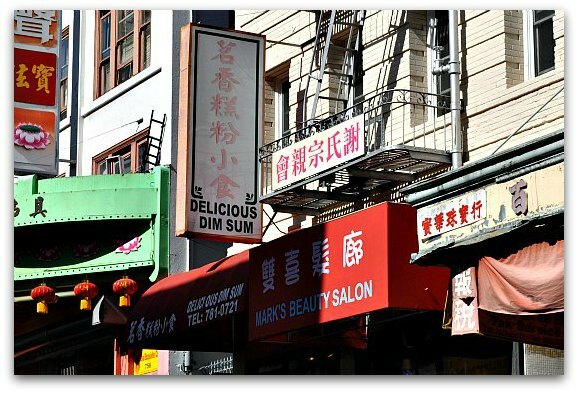 Since San Francisco is a fairly expensive town to visit, dim sum offers some of the best food value in the city. My friends and I can typically eat a full meal and still only pay less than $10 per person (usually it's only around $5 or $6 per person). Be prepared to bring cash before you sit down and eat. Many of these places do not accept credit cards or travelers checks. 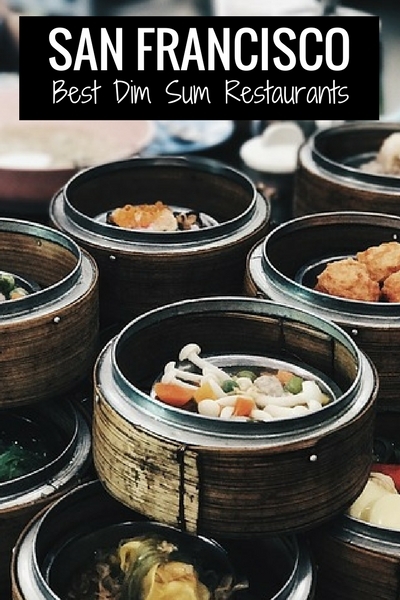 Now that you know a little more about dim sum, here are some of my favorite places to enjoy it. You will find dozens of places to eat dim sum in San Francisco's Chinatown. They are often very small with only 6 or 7 tables. They may look similar from the outside, but there are major differences in ambiance and quality of the food. Here are my five favorite places to eat dim sum in the Chinatown district. Delicious Dim Sum: 752 Jackson Street. This is my favorite place to grab dim sum in San Francisco. However, it's small and often crowded, so make sure you have a few alternatives in mind. It's open everyday from 7am to 6pm except Wednesday. Cash only. Good Mon Kok Bakery: 1039 Stockton Street. This is another one of my personal favorites. It's open everyday from 7am to 6pm. Cash only. Wing Sing: 1125 Stockton Street. Another local favorite in the heart of Chinatown. This dim sum San Francisco restaurant only accepts cash. Hang Ah Tea Room: 1 Pagoda Place. Claims to be one of San Francisco's oldest dim sum restaurants in Chinatown. It's colorful, small and one of my favorite places on this list! Dol Ho: 808 Pacific Avenue. This is a great spot to enjoy dim sum in San Francisco at lunch. I recommend heading over just after the lunch crowd (1:30pm to 3pm). You will also find a few good options outside of Chinatown. Many of these places are slightly larger, so they can accommodate groups larger than four or five people. These are my five favorites outside of Chinatown. Yank Sing: Financial District, 101 Spear Street. Yank Sing offers a slightly different take on this Chinese cuisine. It's a little more expensive because they offer higher-end dishes. Due to their location, they appeal to the working crowd who stop in for lunch near their offices. They are open Monday - Friday from 11am - 3pm and Saturday and Sunday from 10am - 4pm. Good Luck Dim Sum: Inner Richmond, 736 Clement Street. Although it's a bit of a trip to the Inner Richmond, this is a great option for a more traditional restaurant. It's affordable and they only accept cash. Open every day except Tuesday from 7am - 6:30pm. Wing Lee Bakery: Inner Richmond, 503 Clement Street. They offer quick service and cheap dim sum, as well as ready-to-go baked items like pork buns and egg tarts. Very casual service, as it's more of a bakery than a restaurant. Open seven days a week from 7am - 7pm, cash only. Hong Kong Lounge: Inner Richmond, 532 Geary Boulevard. The Hong Kong Lounge offers dim sum as well as many other Chinese options. It's a full service restaurant that accepts credit cards and is open a little later in the evening. It's a good choice when traveling with a larger group or with children. They are open Monday - Friday from 10:30am - 2:30pm and from 5pm to 9:30pm; Saturday and Sunday from 9:30am - 2:30pm. Chase Luck Bakery: 1325 Ocean Avenue in Ingleside on the southern end of SF. A bit out of the way, but delicious and cheap. Open Tuesday through Sunday 7am - 6pm, cash only. Are you looking for some great deals around San Francisco? Here are just a few top restaurant deals at places all around town. *All deals are for a limited time only and can change at anytime. If you are hesitant to venture out on your own or want a guide to take you to the best dim sum spots around San Francisco, then check out one of the food walking tours around the Chinatown district. These tours offer you the chance to sample dim sum and other traditional Chinese cuisines. Your knowledgeable guide will tell you more about each dish. You will also learn all about each place you are eating and the district. Chinatown Food Tour: This tour is with a company called Food Tours of San Francisco. The tour includes five tastings. In total, it will be enough for a decent lunch. This tour runs on Saturdays and Sundays at 10am. You can also find discounted tickets for this tour on Goldstar. The Real Chinatown Food Tour: This tour is led by a local blogger that grew up in this district. You will sample local dishes and learn about the district. It's a 3-hour tour that runs on Saturday mornings starting at 11am. Find tickets for this tour on Viator. If this is your first time trying dim sum in San Francisco, here are a few of my favorite dishes that you might also enjoy. Steamed Buns: This is a fluffy pastry with meat or veggies inside. I usually love pork steamed buns the best. Dumplings: These are smaller with a thin layer of pasty around them. They also come filled with veggies, meat or both. Fried Shrimp Balls: If you love shrimp, you will love these tasty nuggets. They are often breaded with a small amount of shrimp on the inside. Potstickers: These are breaded and deep fried usually with pork on the inside. A few other items I enjoy are sticky rice dishes and egg rolls. I also recommend trying one of their desserts with bean paste. It can be an acquired taste, but one I recommend that you try! Chinese Historical Society: Head over to the Chinese Historical Society before or after you enjoy your dim sum to learn more about the history of Chinese Americans. This small but interesting museum features artifacts, stories and other cultural exhibits that give you some insight into this community. Chinese Temples: Another great way to learn more about the community in Chinatown is by stopping by one of these three Chinese temples. All welcome visitors as long as you are respectful of those coming to pray. Click on the link above to learn more and find out how you can visit these temples during your visit. A Perfect Day in Chinatown: Do you only have one day to visit Chinatown? If so, then you will love this self-guided itinerary. In one day, you will take the best route through this SF district and see as much as possible. It's free and a great tour to do at your own pace. A Perfect Day in North Beach: Right next door to Chinatown is SF's North Beach district. On this page, you will find what I would do if I had only one day to visit North Beach. It includes a visit to Coit Tower, a stop by the place where Joe DiMaggio learned to play baseball, and a visit to one of my favorite bakeries in the city!